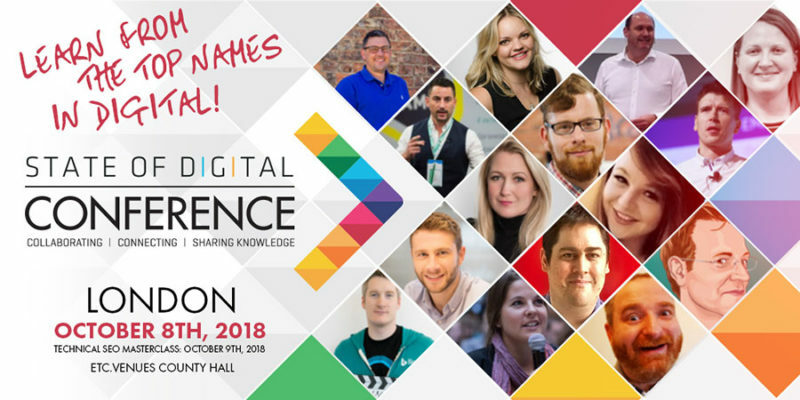 More coverage of State of Digital London 2018 on “The State of SEO”, an open panel discussion around the state of SEO & Digital Marketing in 2018–2019 by Bas van der Beld, Founder of Speak with Persuasion / State of Digital, Chris Green, Head of Search at StrategiQ Marketing, Lisa Myers, SEO & Founder of Verve Search, and Dixon Jones, Global Brand Ambassador at Majestic.com. The session begins with a question from Dixon Jones to panellist. Dixon: Going back a few years, do you think the relationship of SEO industry and Google has changed? Since Matt Cutts moved on what do you think about this relationship now? Lisa: The relationship itself hasn’t’ really changed that much. But one thing I believe has changes is the way Google communicates. I see more discrepancy between what say works and what I find actually works. Bas: Google now use PR to communicate to the sector, as a result it feels more orchestrated, organised and removed. Chris: I agree, there is less transparency about the algorithm updates and the direction Google is heading. Dixon: If search is being driven more by AI, what tips do you have for the audience to manipulate AI algorithms? Lisa: Whatever comes in future is irrelevant, I believe we’ll deal with it when it actually happens. I strongly believe that SEOs are thinkers and problem solvers, it is just how our minds work. We have the ability to put things together and find a solution to anything. How to manipulate AI before we get it is not the question we should as now. Dixon: Quality rater guidelines got released are have recently updates. How useful do you think they for SEOs? Chris: As teams who build or influence the way the websites are built we need to be looking at the guidelines for sure. But they aren’t the single most important piece of information. I guess if you want to play safe, it is a good place to reference. Bas: I think it may help in a way that if you know what Google are looking for it may help steer you in the right direction. 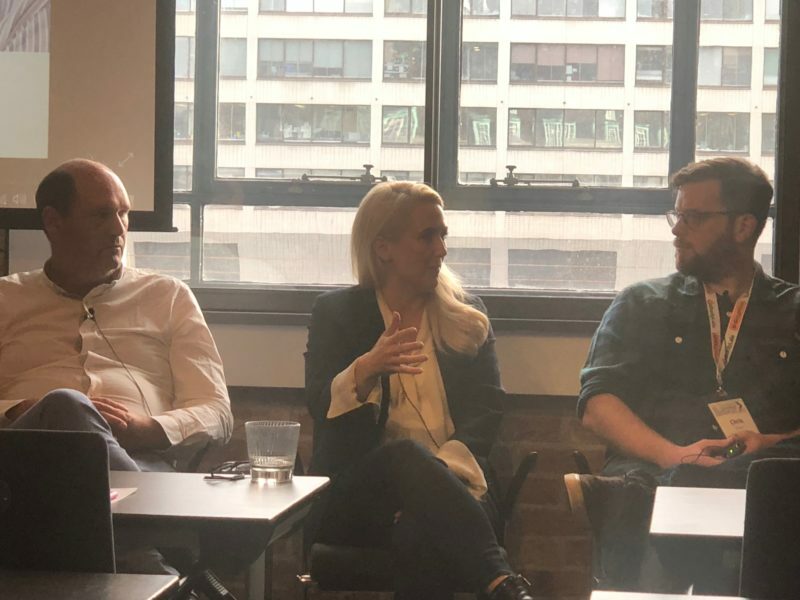 Dixon: If Google is trying to produce an algorithm which meets users needs and delivers better relevancy shouldn’t we be chasing what users needs are rather than chasing the algorithm updates? Bas: The information about the algorithm updates itself isn’t anywhere near enough. But our understanding of what to do with that information in specific circumstances is key. Lisa: SEO should never be just be about pages and domains. It is bout people and the reputation of content authors and publications. For example, if a very reputable author writers for lower level publication, that piece of content surely should rank higher because of the weight of the author. Barry Adams: That’s right. Google don’t have some linear metrics, instead they have nodes and entity graphs. Google knows how authoritative each author is on every topic because of these entity relationships. Dixon: So, does it mean that content is dead? Lisa: I’d say that poor quality content is dead. But the good news is that it also means that a good journalist is going to become valued again. I always find it interesting trying to find where Google is going by following their hiring and firing through LinkedIn. If you can see who comes and goes you can probably figure out where they are heading, it tells you a lot about their direction. Going back to the communication between Google and SEOs. Different talks during today give different points of view. Do you think that may be the system is just to complex bit that even Google representatives sometimes don’t know things about their own system or do they intentionally try to leave us in the dark? Chris: I believe that no one person at Google knows the full state of things.